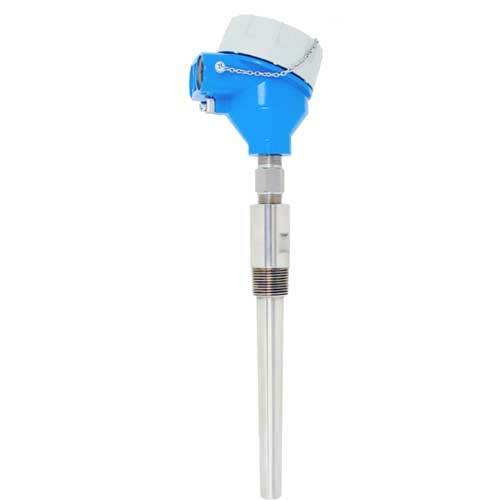 Resistance thermometer with exchangeable RTD measurement insert and extension neck. Certification for hazardous areas. To be used with separate thermowell.